From humble beginnings in 2010, Bearings 2000 Maitland-based (Cape Town) branch has grown from strength to strength and is today recognised as a regional leader in the Western Cape that services numerous sectors ranging from agriculture, to local government and general industries. Bearings 2000 managing director Nick Stamatiadis points out that the Johannesburg-based company made the decision to open the Cape Town branch after identifying a gap in the market. “Logistically, Cape Town is far removed from Gauteng, which is recognised as the national base for warehousing bearings in South Africa. As a result, we identified the opportunity to establish a branch locally, in order to improve turnaround times for customers, while reducing additional costs related to transport. This move has placed Bearings 2000 in a strong position in this highly lucrative market.” Bearings 2000 Cape Town branch manager Shannon Robertson highlights thus: “The key to the success behind the branch so far has been Bearings 2000’s industry-leading customer service, combined with friendly staff and on-time deliveries. Furthermore, we offer 24-hour break-down service as well as on-site technical support.” When customers require a particular specification of rare bearings, the company also offers an airfreight service to meet their demands. Testimony to the growth of Bearings 2000 in the Western Cape, is that the branch has recently relocated to substantially larger premises. “Among other advantages, the expansion allows us to carry a greater quantity as well as a wider diversity of stock; it also improves accessibility for collections and deliveries, which ultimately improves turnaround times and results in even-higher levels of customer service and satisfaction,” adds Robertson. An added advantage to clients is Bearings 2000’s after-sales service and support. Due to the growing complexity of modern machinery, there is an increased demand from industrial applications for expert assistance and backup - relating to procurement, replacement and reconditioning of machinery and related components,” Robertson explains. From a product point of view, Robertson points out that the market has reacted very well towards the newly developed X-Life range of FAG Bearings. FAG is an internationally renowned bearings manufacturer based in Germany, with factories situated across the world and is well established in the Western Cape. Bearings 2000 is an official distributor of FAG and INA products in South Africa. 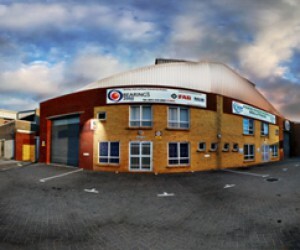 Stamatiadis points out that the Bearings 2000 Cape Town branch is expanding its stock levels and product quantity on a continuous basis, in order to meet an anticipated rise in demand in the region in the near future. 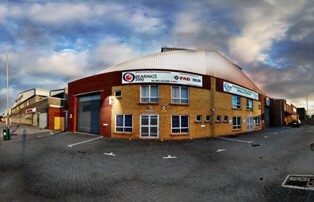 “Due to its overwhelming success, the Bearings 2000 Cape Town branch has been identified as the company’s headquarters for expansion along the coastline of South Africa. “I am confident we can achieve this growth in the short-term, through our strong logistics and internal communications capabilities, paired with our unrivalled after sales and technical support service to clients,” he concludes.